There are over 30 recognized Hippocampus genus member seahorses that inhabit tropical, sub-tropical and temperate waters around the world, but only a handful of species are typically encountered in the aquarium trade. From the few wild and numerous tank-bred specimens one finds for sale, H. kuda and erectus are at the top of the list of the most common species of seahorses that are seen in aquariums. The Brazilian Seahorse (Hippocampus reidi) was initially introduced into the aquarium trade after being imported from Brazil in the past, this is actually an Atlantic Ocean species that occurs from as far north as the Carolinas, Bermuda, and south to Brazil.The Brazilian Seahorse has many colors​ and is one of the largest known species. In the wild, the Dwarf Seahorse (Hippocampus zostera) is found in the western Atlantic Ocean, from Bermuda to the Bahamas, southern Florida and the entire Gulf of Mexico. As the name Dwarf Seahorse implies, this is a tiny species that attains less than two inches in size, which makes them ideal for mini or nano-reef tanks. The Gorgonian Pygmy Seahorse (Hippocampus bargibanti) is arguably one of the cutest animals in all the oceans. Discovered in 1969 near New Caledonia, these fish are fairly new to the aquarium trade. The Lined Seahorse (Hippocampus erectus) is also known as the Erect or Atlantic Seahorse. 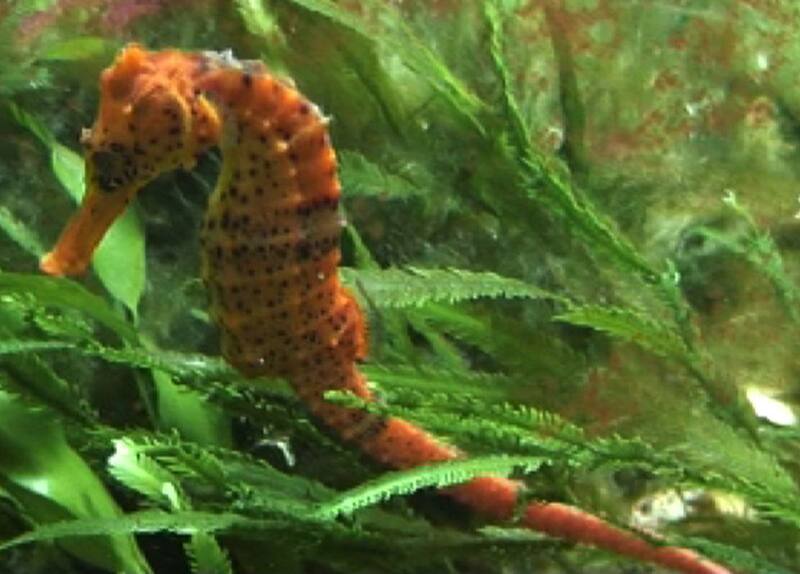 This Seahorse adapts well to aquarium life if it is fed properly and their tank is well maintained. The Lined Seahorse prefers a quiet tank with other non-aggressive fish, such as the Mandarin Dragonet. The Smooth Seahorse (Hippocampus kuda) is also known as the Spotted, Yellow, or Black Seahorse. A protective trait that this and many other seahorses have is the ability to change color to match into their surroundings. It is not unusual for them to take on the coloration of a favorite object one has decided to adopt as a hiding place. Of a bold yellow coloration and named for the tiger-like rings on its tail, the Tiger-Tail Seahorse is a very hardy species that grows to about six inches in height. This is a reef-dwelling seahorse that inhabits tropical waters around Malaysia and Singapore, and as far east as the Philippines. It can be found at depths from 15 to 50 feet in the wild and prefers to live among soft corals, especially finger and toadstool leather corals, gorgonians and sponges.